Although significant changes to the U.S. system of federal corporate income taxation were enacted in 2017, the U.S. retained vestiges of its “residential” tax scheme, and did not adopt a pure “territorial” system used by most countries. As a result, domestic corporations continue to include some dividends received (and certain other income) from foreign affiliates in their federal taxable income. The U.S. system seeks to avoid double taxation of that income by providing a tax credit for taxes paid in foreign jurisdictions. States do not follow this aspect of the federal system. Instead, the states adopt a form of territorial tax system–only income apportioned to a state is taxable, no matter where the taxpayer is domiciled. In most cases, states still start with federal taxable income, however, and therefore extra-territorial income, including foreign dividends received, is sometimes included. In order to avoid double taxation, most states, including Illinois, eliminate the income attributed to foreign activity from the tax base through a dividends received deduction. Although foreign dividends are sometimes included in federal taxable income, dividends received from domestic subsidiaries are generally eligible for a federal dividends received deduction and so are not included in that amount. In other words, at the federal level there is a domestic dividends received deduction and a foreign dividends received credit. The dividends received deduction/credit is necessary to avoid tax pyramiding—otherwise, the same item of income earned by an operating business could be taxed multiple times. Illinois has chosen a simpler approach and expands the federal dividends received deduction to foreign-source dividends, at 35 ILCS 5/203(b)(2)(O). This way, Illinois also avoids tax pyramiding and is not discriminating against businesses engaging in foreign commerce—their dividend income is taxed identically to purely domestic dividends. Iowa originally allowed a domestic dividend deduction but had no foreign dividend counterpart. The United States Supreme Court held that such an uneven system discriminated against foreign commerce, in violation of the Commerce Clause of the U.S. Constitution, in Kraft v. Iowa, 505 U.S. 71 (1992). Illinois avoids this problem through its foreign dividends received deduction. 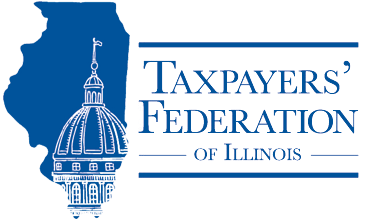 The Taxpayers’ Federation of Illinois supports measures which strive to maintain a level playing field among all business taxpayers. Illinois Income Tax Act Section 203(b)(2)(O) equalizes the tax treatment of successful businesses, whether their expanded operations are in other states or other countries, and maintains Illinois’ adherence to the territorial method of taxing multistate and multinational businesses. The Federation opposes any attempt to repeal this provision, which would be not only bad tax policy, but unconstitutional.